Seagle Music Colony is the oldest and one of the most distinguished vocal training programs in the U.S. As part of their training the SMC young artists perform high quality opera and musical productions in the rustic Oscar Seagle Memorial Theatre nestled in the quaint Adirondack town of Schroon Lake. The 2015 Seagle Music Colony centennial season includes Falstaff by Verdi, July 1-5, featuring Seagle Music Colony alumnus Seth Mease Carico bass-baritone in the title role; The Barber of Seville by Rossini, July 15-18, sung in Italian with English supertitles; Into the Woods by Sondheim, July 29-August 1, and Les Misérables by Schoenberg & Boublil, August 12-16. 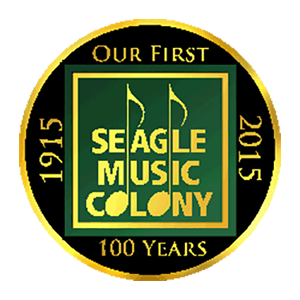 All mainstage performances feature the 32 Seagle Music Colony 2015 young artists accompanied by two pianos.